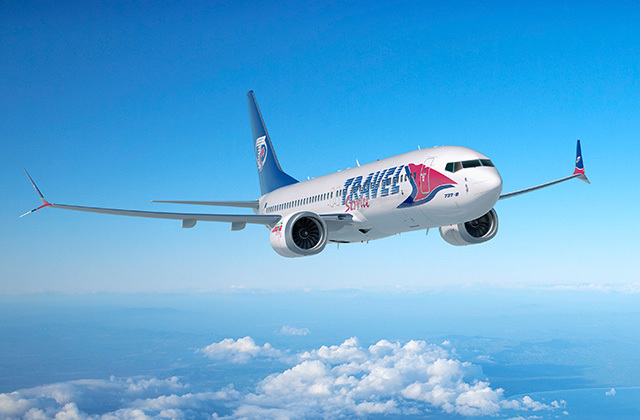 The 1997 founded Czech charter airline Travel Service will order 5 Boeing 737 Max 8 more for approximately 550 million dollar. Travel Service announced the order extension on January the 4th 2017. Together with the already ordered planes they will now get 8 own Boeing 737 Max 8. The 737 MAX 8 with the new LEAP-1B engines, new winglets and other improvements will be 14 percent more fuel-efficient than today’s most efficient Next-Generation 737s – and 20 percent better than the original Next-Generation 737s when they first entered service. but they also have there own subairline SmartWings which operates 2 737-700 and 13 737-800. Additional to the 8 ordered 737 Max 8, Travel Service has leasing contracts for 22 737 Max 8. The first 737 Max 8 will be delivered in 2018. 5 years later, all 30 airplanes should be delivered and in operation. We are pleased to add more 737 MAXs to our original order and we look forward to receiving the first one to become the first airline to operate the 737 MAX in this region. Roman Vik, Chief Executive Officer, Travel Service. The Target for 2023 is to operate 50 aircrafts and to expand the flight connections. We are delighted that Travel Service continues to place its faith in our products with this new, increased order for the 737 MAX. This airplane will be a great addition to its fleet providing the airline with unmatched fuel efficiency and its passengers with superior comfort. Monty Oliver, Vice President, European Sales, Boeing Commercial Airplanes. Travel Service is the largest Czech airline which operates charter flights and private flights with Business Jets. They serve, together with SmartWings, more than 300 destinations on 4 continents. In Slovakia, Poland and Hungary Travel Service has subsidiary companies. All regular flights are operated under the name SmartWings. 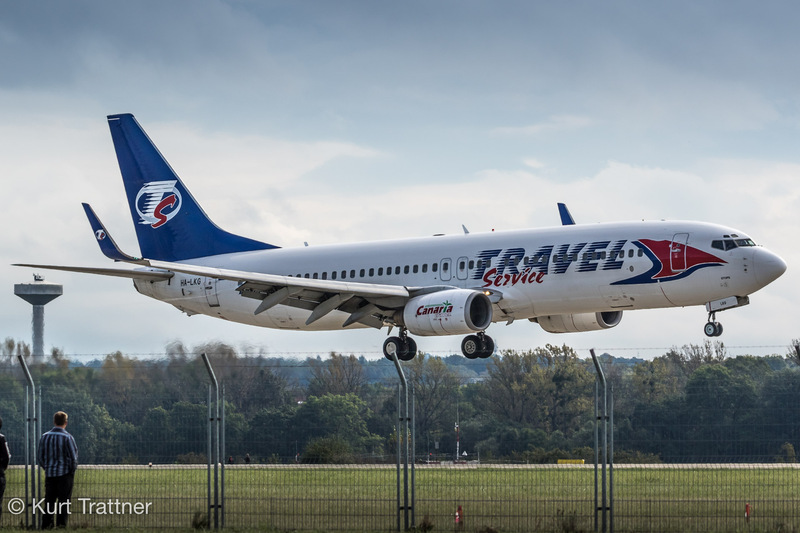 Boeing 737-800 from Travel Star arriving in Ostrava.